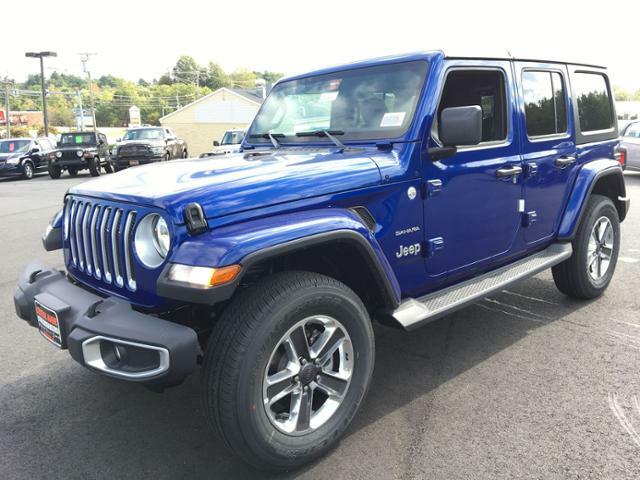 NAV, Heated Seats, Back-Up Camera, 4x4, iPod/MP3 Input, Running Boards, ELECTRONIC INFOTAINMENT SYSTEM GROUP, TRANSMISSION: 8-SPEED AUTOMATIC (850R... Sahara trim, Ocean Blue Metallic C/C exterior. 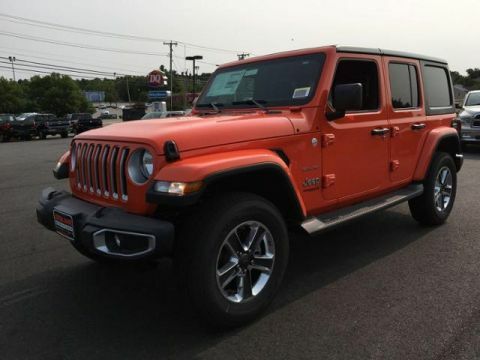 EPA 24 MPG Hwy/22 MPG City! CLICK ME! 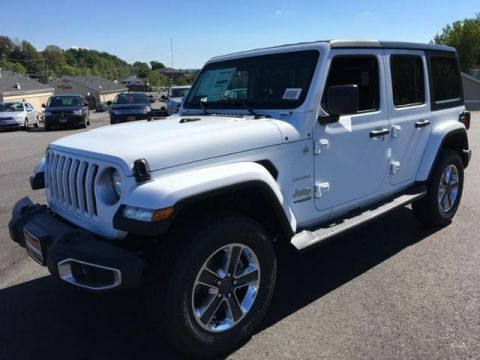 4x4, Back-Up Camera, Running Boards, iPod/MP3 Input, Aluminum Wheels, Keyless Start, Dual Zone A/C MP3 Player, Privacy Glass, Keyless Entry, Child Safety Locks, Steering Wheel Controls. 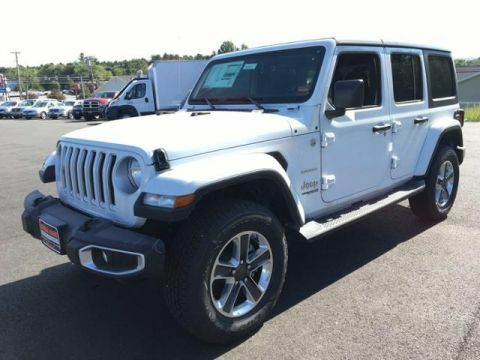 TRANSMISSION: 8-SPEED AUTOMATIC (850RE) Dana M200 Rear Axle, Hill Descent Control, Tip Start, ELECTRONIC INFOTAINMENT SYSTEM GROUP SiriusXM Travel Link, 5-Year SiriusXM Travel Link Service, 5-Year SiriusXM Traffic Service, 1-Year SiriusXM Guardian Trial, HD Radio, SiriusXM Traffic Plus, Radio: Uconnect 4C Nav w/8.4 Display, Alpine Premium Audio System, GPS Navigation, Rear View Auto Dim Mirror, 8.4 Touchscreen Display, Roadside Assistance & 9-1-1 Call, BLACK 3-PIECE HARD TOP Rear Window Defroster, Freedom Panel Storage Bag, Rear Window Wiper/Washer, ENGINE: 2.0L I4 DOHC DI TURBO ETORQUE Delete Alternator, 700 Amp Maintenance Free Battery, Supplemental Heater, 48V Belt Starter Generator, COLD WEATHER GROUP Heated Front Seats, Heated Steering Wheel, TRAILER TOW & HD ELECTRICAL GROUP Class II Receiver Hitch, 240 Amp Alternator, 7 & 4 Pin Wiring Harness, 700 Amp Maintenance Free Battery, Auxiliary Switches.